Most wedding professionals would not consider giving out a free gift with no strings attached strictly as a way to increase inquiries. They would be more apt to give a gift to a customer that contracted for a wedding service or bought products. 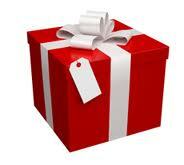 However, offering a free gift can attract a lot of attention, especially if that gift has a high enough perceived value. A wedding center business found a resource where they could purchase silver toasting goblets that cost the business $7.50. They enthusiastically advertised and promoted the offer. In one year they gave away over 500 free pairs. The thought of throwing $3750 away is an overwhelming expense but you actually need to look into the reality of the cost. Let’s say this business does bridal shows, email marketing, direct mail and advertises on The Knot, Wedding Wire or several wedding magazines at a total cost of $10,000 per year. In 2011, that business had 125 customers come in from those resources and they booked 60 customers. This means each lead cost $80 ($10,000 divided by 125) and each sale cost $166. ($10,000 divided by 60) That’s okay because their average sale was $5000. In 2012, that same business did the same amount of marketing and offered the free silver goblets in their marketing and had 500 customers come into their store, and booked 150 of them. That is realistic because some people will just come in for their free gift. A smart businessperson will weed them out, cut their losses by giving them the gift and not wasting valuable time. So now this business invested $10,000 plus $3750 for the goblets totaling $13,750. Each lead cost $27.50 ($13,750 divided by 500) and the cost of a sale went way down to $91. ($13,750 divided by 150) So even though they spent more money, they increased their sales, which resulted in their actual cost per sale in marketing dollars being less than what they would have been had they spent less. This approach works for a business that has sales staff and the capacity to do volume. It will not work for an owner/operator who can only book one event a day and see one prospect at a time. However it does make you think about the difference of the perception of giving something away and how it can actually increase your business’s sales and profitability.